This article describe how to install samba and access to samba server from Windows 10. Add user access to samba with pdbedit. Share home directory for each user added by pdbedit. When access hiroom2's home directory "\\<server>\hiroom2", %s at valid users will be "hiroom". 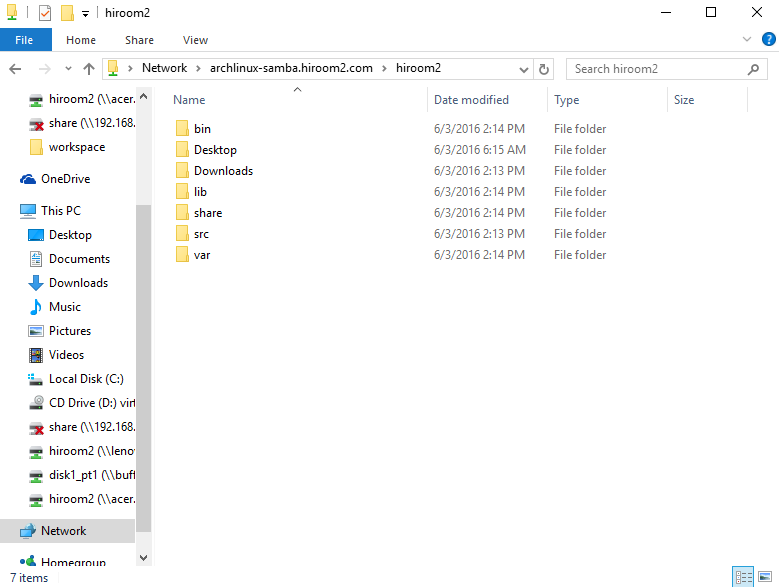 Only user hiroom2 can access to hiroom2's home directory. 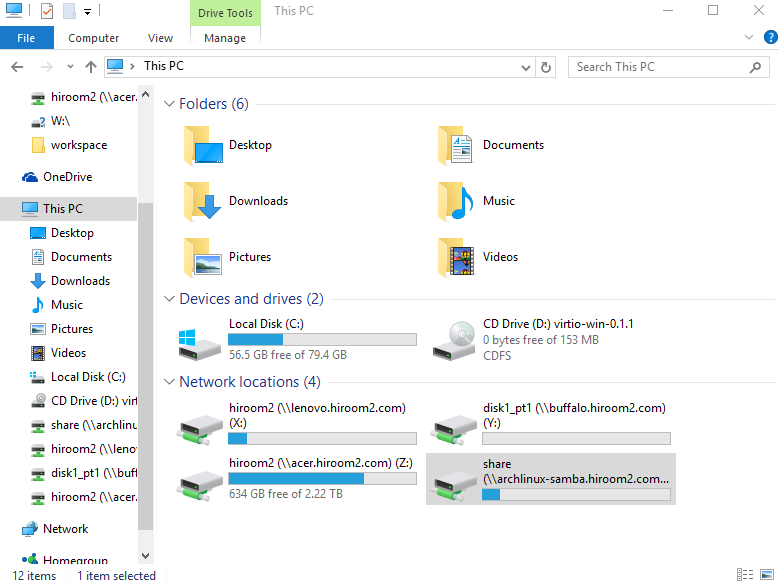 Access to \\<server>\hiroom2 with explorer. Input username and password as same as pdbedit. Accessed to hiroom2's home directory. 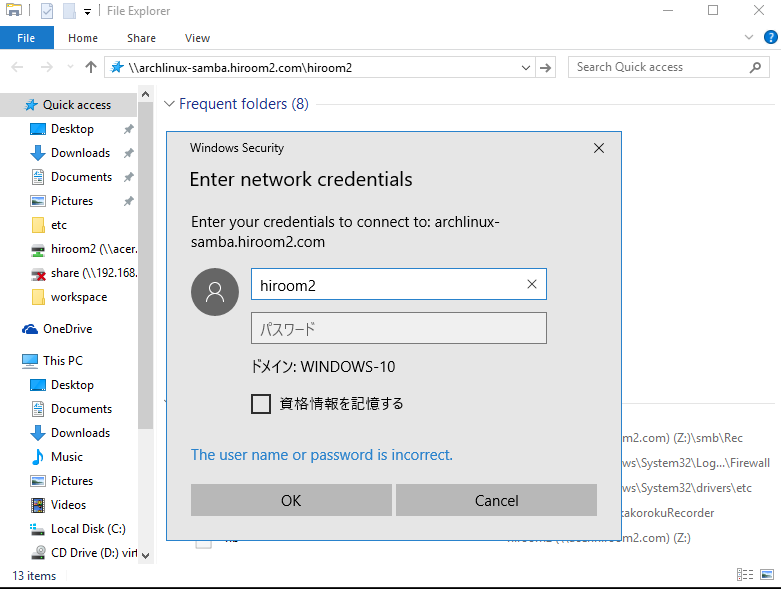 If mapping network drive, windows 10 will connect to samba automatically when user login. 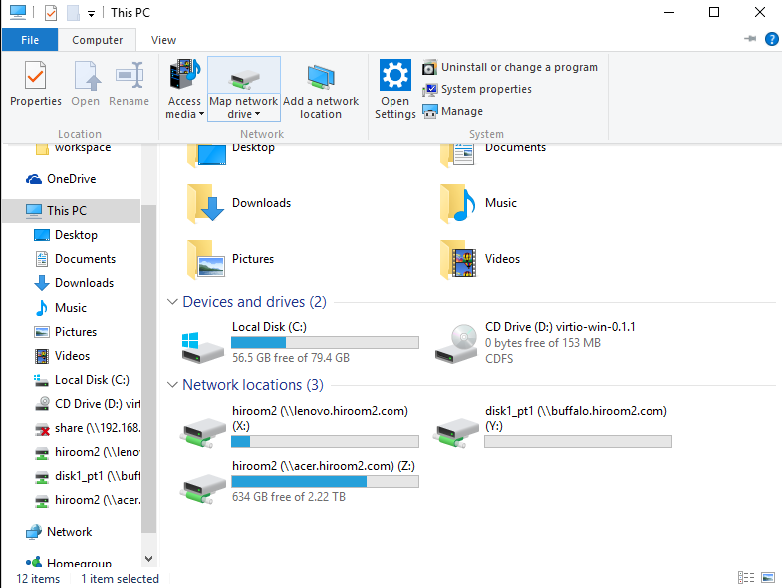 Move to PC directory in explorer, Select "Map Network drive". This time, mapping to \\<server>\share. 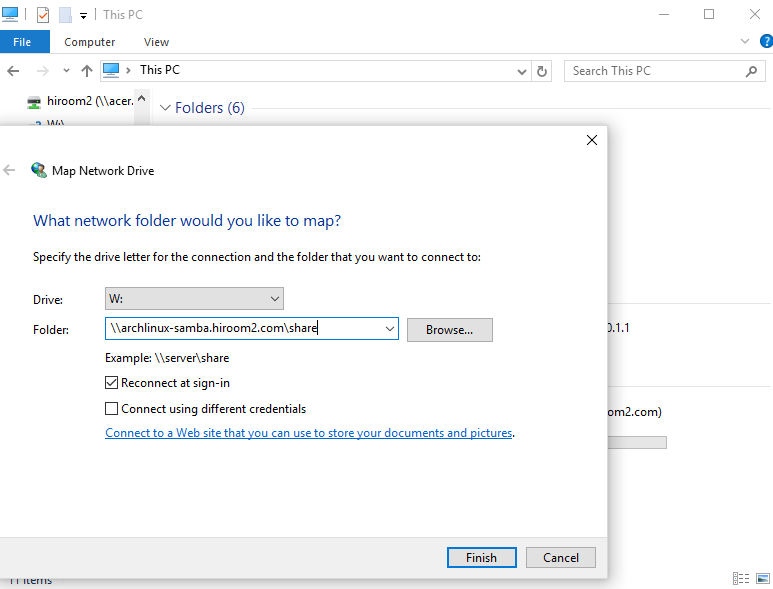 Network drive is mapped to samba share directory.